Writing short films can be daunting, but it’s one of the best ways to improve your screenwriting and get noticed. But many a drawer is littered with short film scripts that will never see the light of day, much less the light of a Kino. Writing a short film can be a lesson in filmmaking, but it can also be a calling card for finding representation or financing. So how do you write a great short film? What makes a short script different from a feature? And where can you turn if you want people to pay attention? Today, we’re giving you the nine essential do’s and don’ts of writing short films. Stick to the rules and you’ll be writing short films that connect with readers, audiences, and agents — not just credit card companies. Short films can be anywhere between 15 seconds to 45 minutes in length, generally. If you're submitting your short film to festivals, this can vary as well. The Sundance Film Festival considers 50 minutes as a short film, while the Academy Awards consider 40 minutes a short film. If there is one universal rule for writing short films, it's this. Remember to K.I.S.S. — Keep it simple, students. Many screenwriters complicate stories that can be told quite simply. This is not to say you shouldn’t challenge yourself. Push the limits, go for what you love, write what feels right. But making a mountain from a molehill is never a positive. Don’t try to cram too many twists and turns when brainstorming your short film. Multiple storylines, time periods, or points of view can certainly be pulled off — but they should all raise a great big red flag. Complexity requires a compelling reason in a short film. The more complicated you make your story, the more danger you’ll encounter in connecting to an audience. That’s because you’re straying from this simple rule: K.I.S.S. Here’s a great example of a short film, The Privilege Game, that keeps it simple and hits hard in every way. The Privilege Game is a succinct and almost perfect short film. There is a concept known as Iceberg Storytelling. This is used as a metaphor for telling a very bare and stripped down story that gives the viewer just enough information to build strong emotions, and allow them to fill in the blanks with their own imaginations. There is a cool article on iceberg storytelling written by filmmaker Rob Hardy, where he explains the concept through Ernest Hemingway's short story For Sale: Baby Shoes, Never Worn. You want to get noticed. You want to make something good. So it makes perfect sense that you’ll look around to see what’s generating heat right now. That’s all fine and good. But jumping on the bandwagon is a surefire way to set yourself up for frustration. Copying the latest trends in features or the festival circuit is the number one way to get your script, and your film, lost in the shuffle. What’s the solution? You need to find a unique concept. Even if you really do love the what’s in vogue right now, you still need to come up with an out-of-the-box, personal take on your material. Writing short films requires new and innovative ideas. The short film One-Minute Time Machine exemplifies the kind of short film ideas you might want to come up with: A unique concept. One location. Two actors. Choosing a unique concept doesn’t mean you have to start from scratch. Whether you’re writing drama short films, comedy, sci-fi, horror, or something else — telling a familiar story in a fresh way can get you noticed. Most of the best short films use tried-and-true tales as their foundation. This happens often in features as well. Think Shrek and Maleficent. Fairy tales with a twist. A fresh point of view. Draw from folklore, current events, or history. Take these stories in bold new directions and you might get a winner at short film festivals. You might even wind up at the Oscars. The Door tells the story of the 1986 Chernobyl nuclear accident through the eyes of one man. It’s a compelling angle on a well-known event. One man, one mission: it's simple. The setting, and especially the particulars of the man's mission — prying off a door — are unique, specific. And the familiar scene of a cozy family apartment juxtaposed against otherworldly and mysterious surroundings, with a guard shouting off screen, cleverly twists our expectations. It engages the audience. Are we in a post-apocalyptic alternate reality? Is this our world, and if so, when is it? We want to keep watching to find out what Nikolai does, and discover what world we're in. When writing a short film that’ll get into short film festivals and get you noticed, it’s vital to pick one genre and stick to it. Remember, writing short films requires you to keep it simple. Going with one genre gives you a pre-set guide to storytelling simplicity. The Hollywood graveyard is filled with features and short movies that blend genres. These films leave audiences stranded in a “What the heck am I supposed to be watching?” gray area. Mixing and subverting genres — yes, by all means, yes. Just not if you’re writing short films with the goal of getting Hollywood’s attention. Take all your ideas, personality, passion, and channel them into a single genre. And grab your genre by the horns. Writing short films means picking a genre and sticking to it. Even the world’s best filmmakers run into trouble when they fail to stick to one genre. The Coen brothers are objectively, subjectively, collectively brilliant. But Hail, Caesar! tanked in every way. What genre is it? Comedy? Thriller? Gladiator movie? Drama? Political satire? 1950s period piece? The answer is, “Well, yeah, I guess, sort of,” to all of those questions. Writing short films: pick your genre and chomp at it! Pick one and only one genre. Whether it’s romance, horror, comedy, or drama, the choice is yours. Then go ahead and write your short film within the confines of your genre. The 2013 short film Lights Out knows its genre, and owns it. This three-minute horror film led directly to a feature film for writer and director David F. Sandberg. As mentioned above, a short film is any film less than 40-45 minutes long. If you want to get noticed, your short film needs to come in under 10 minutes. Ideally in within 5-10 minute range. If you’re writing short films that go longer than 30 pages in length, then you might be better served turning that material into something else. A feature. A ​TV pilot script. We’ll explore this in the next few sections. You have to show the world that you can create emotion, make a connection, and tell a story in a just a few minutes. Be your own filmmaking SWAT team: get in, get out. Quick strike. Also, short film festivals prefer to program as many shorts as possible. A five-minute short film chews up less screen time than a 40-minute “short.” You’re more likely to get into festivals if you make short movies that are actually short. In The Elevator, a character goes on a complete journey in three-and-a-half minutes. Writing a short film can lead to making a feature. Absolutely. But only if your short film is a short film. A complete story that stands on its own. Not the opening three minutes of your dream feature. If your story would truly be the best version of what it can be as a feature-length film, then write a feature screenplay. Or, find inspiration in a particular element, moment, or feeling in your story. From there, grow it into a compelling, fully realized stand-alone short film. Don’t try to sneak a feature into a short. It won’t work. Wes Anderson gave the world a 13-minute black-and-white Bottle Rocket before making the full-length version. Directors such as Damien Chazelle and Neill Blomkamp have made short films that wound up as features. Chazelle’s little Whiplash grew into big Whiplash. Blomkamp expanded his five-minute Alive in Joburg into District 9. In these cases, the filmmakers devoted time and energy to writing short films that stood on their own. They’re emotional, funny, dramatic, engaging short films independent of the features they spawned. The short movies are real movies. They tell complete stories. They have closure. Anything less and you don’t have a short film. You have a proof of concept. A proof of concept is any method of pre-visualization or realization of a project before the actual needs for creation have been met. A proof of concept can be a sizzle reel, mood board, animatic, or storyboard that demonstrates the feasibility of the project being presented. A proof of concept can be as true to fruition as resources allow. Nothing wrong with a proof of concept. But they serve different functions than short films. Are producers or film sales agents ready to commit to your project, but first they need to see what it’ll look like? Do investors require test footage before they’ll shell out? Is Denzel Washington ready to star, but only if you can better convey the film you’re pitching to him? This is where a proof of concept comes in. It’s part of a free seven-episode TV writing masterclass that can help you break out from the pack and get your idea onto the small screen. Although the series focuses on television, nearly all of the concepts are applicable to your short film, and how it can be leveraged to a bigger project (if you package it carefully). Check out this Whiplash short. Even if it had never evolved into an Oscar-winning feature, this short film would still be worth your time. Before you make it into a feature, be sure to write a short film. That short film idea of yours might be bigger than a short film. Writing a short film and having trouble ending it? Are there several other connected stories that this one inspires? Is your lead character so dynamic that he or she wants to do and say more? Maybe, just maybe, this is not a short film. If you really do have more of this story to tell, it could be an opportunity to turn it into a pilot script and/or a show bible. If you have the makings a short film story that could be developed into an entire series...stranger things...have definitely happened in Hollywood. South Park was a short film was made as a video Christmas card in 1992 called The Spirit of Christmas. It became one of the longest-running programs, animated or otherwise, in TV history. You might want to make your short film YouTube friendly. You might be writing short films to submit to festivals. Whatever your goal, the work needs to stand on its own. They tell a concise and cohesive story that ends when the credits roll. They don’t leave the viewers hanging with unanswered questions (unless that’s the point of the story). Put yourself in the theater as an audience member. What would satisfy you in a story? An emotional connection, a compelling character arc, an interesting character — and closure. If you’re writing short films that wrap up and don’t leave viewers scratching their heads for all the wrong reasons, you’re doing it right. The Desk is a prime example. This short film from 2011 stands on its own, and satisfies. If you want clean teeth, you have to brush every day. If you want to be a professional bodybuilder, you’ve got to hit the weight room. Likewise, if you want to succeed writing short films, the good news is you have to watch a lot of them. You’ll be entertained. Thrilled. Moved. And you’ll also absorb knowledge and ​discover filmmaking techniques by seeing the work of others. You can find a lot of the best short films on Netflix. Oscar short films always make for excellent viewing, as do Sundance short films. The best short films on YouTube are worth exploring as well. Watch several short movies every week. You can even keep track and pick your favorite short of the week — then share it with your friends. Maybe even start a “short of the week” club on social media, and you’ll get access to high-quality short films curated by people you know and trust. We’ve gathered a few of the best short films to get you started right now. These short movies vary in genre and style. They’re all effective. 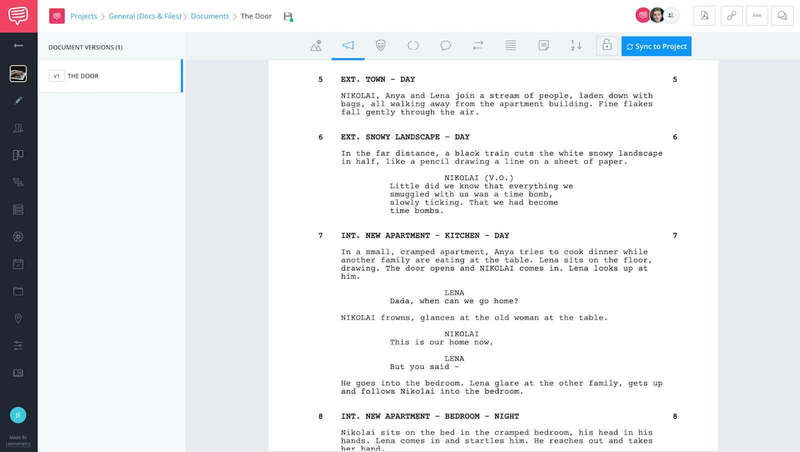 As you can see, the rules for writing short films are all on display in these examples. They keep it simple, the premises are unique, the genres identifiable, and the stories have a beginning, middle, and end. They’re also all short films: no 40-minute monsters here. Routine (2017) - a fascinating animated short film. Animated short films are, in some ways, a different animal when compared to live action. They even have a separate category in the Academy Awards. But when writing a short film, watching animated shorts can provide a lot of imaginative takeaways. Here’s one more short film as a parting farewell. Alone - it’s the end of the world, and short films, as we know it. After understanding the rules behind writing a short film, it's time to actually put your words on the page. 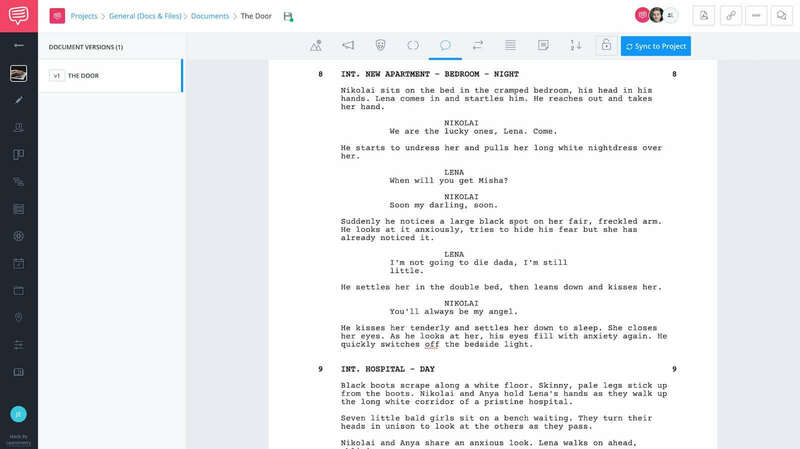 But before you actually start writing your screenplay, you'll need to look at proper screenplay formatting. 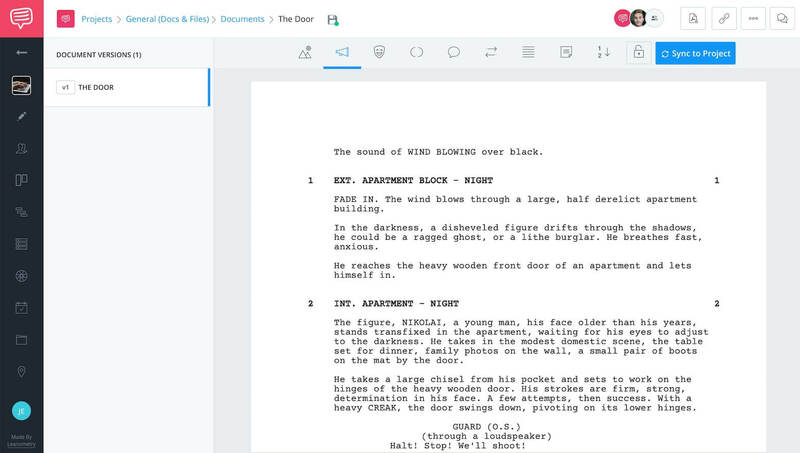 You can use free screenplay templates on Google Docs, use Final Draft, or StudioBinder to create your short film screenplay. Now that you’ve understood the key rules behind writing a short film and screenplay formatting, it's time to watch some of the best short films to inspire your story.